EASTHAM - New Listing - We have a lovely open Cape style home with hardwood floors both downstairs and upstairs and a wonderful screened porch to enjoy the summer breezes in total privacy. This home sits near the end of a quiet cul-de-sac, tucked in the trees, but very near the National Seashore and the bike path. Large kitchen, vaulted living room, skylights, garage under, well maintained. Being sold fully furnished (with just a few exceptions). Listed at $365,000. For more details, a map, and a Virtual Tour, go to http://50DeborahDoane.robertsheldon.com. Worth a look see. EASTHAM - This is a like-new (2002) 3 bedroom, 2.5 bath light filled Cape with a great open floor plan w/sliders onto the deck, and a fenced private back yard. Vaulted ceilings in living room with a gas fireplace & skylights in both the living & family room, 1st floor master suite, hardwood floors & 1st floor laundry. Full walkout basement, outdoor shower, and natural gas heat and hot water. This house sits on an ocean-side half acre, close to the National Seashore Visitor Center. Listed at $489,000. More information, a Virtual Tour, and a location map can be found at http://25FairviewAve.RobertSheldon.com. It's "Location, Location, Location" for this delightful 3 bedroom, 2 bath ranch. 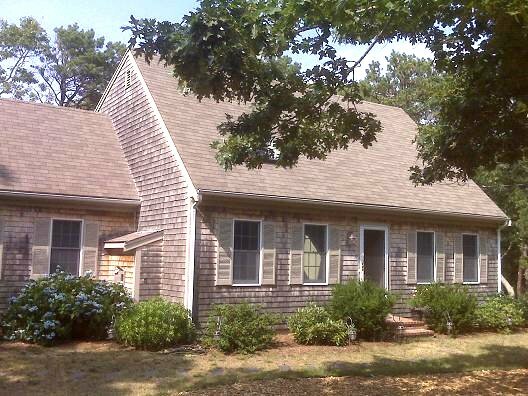 This house is directly across from Eastham's Wiley Park and Great Pond and just a short walk to a Bay beach. Designed for one floor living with lots of upgrades, including a master suite. The house has hardwood floors in the common areas and a first floor laundry area. You'll enjoy the large sun room, the fireplace and built-ins in the living room, and the one car garage. Wiley Park, with its hiking paths, childrens play area, and the fresh-water beach is directly across the street. Listed at $499,000. Come See! My December 2012 Newsletter Is Available Now! My December 2012 newsletter is available now! This issue of my newsletter has my market update, through October, for Eastham. Additionally, you'll find a few links to articles that previously were put on my Facebook 'corporate' page and an update on Hurricane Sandy. This newsletter has been published every month for over 9 years. My goal, with my newsletter, is to provide accurate sales and market information about the Eastham housing marketplace, to add commentary and opinion (as appropriate), and to keep it interesting. Download your copy of my December newsletter now. I came upon a video that shows a gathering of paragliders above Wellfleet's high dunes. The video, taken before Hurricane Sandy, is spectacular. It's a bit long, and the folks seem to be speaking Portuguese, but the scenes are amazing! 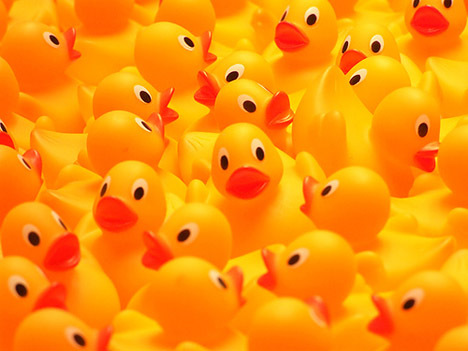 Again this year, the Eastham Recreation and Beach Department is having its annual rubber duck race on the Sunday before Thanksgiving (November 18th) at the end of First Encounter Beach, on Bee's River. Prizes will be 'awarded' to the top 10 finishers. It's a buck a duck and they start swimming at 3 PM. This should be a lot of fun. If you'd like to buy a duck (for a buck), call the Rec Department at 508-240-5974 after 10 AM this Wednesday (Nov 14th). Ducks are assigned automatically, by the order of the calls. When all the ducks are gone, they're gone! This is a rain or shine event. You must pay on race-day and be present to win. The same storm that beat up the northeast as a second punch after Hurricane Sandy took a swipe at the Outer Cape today. The Cape Cod Times sent their video team out to check out some Outer Cape beaches. This year's presidential election has pundits on both sides claiming a significant victory. I have nothing to add to their fancy red and blue maps, except to remind you to vote tomorrow. We can't whine about how it turns out if don't participate in the process. 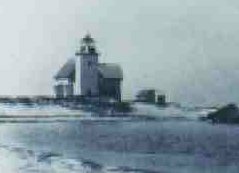 Off the end of Wellfleet's Great Island are the remains of what was the community of Billingsgate Island. There were about 30 homes, a lighthouse, and even a baseball team, on this tiny island (50 acres?) that was focused primarily on fishing and whaling. The island totally disappeared in 1942, but can still be seen at low low tide, just south of Jeremy Point. The history is a fascinating story of fighting a never-ending battle with the inevitable 'sinking' of the island. Eastham's October Sales - Way Up! Eastham's October sales show a serious uptick from prior months. October had 16 sales, compared to September's 9 sales, reflecting a strong late summer. The details.. There were 16 homes sold in Eastham in October, up from September's 9 sales. The median sale price in October was $442K. There are currently 111 active single family listings in Eastham, with an average list price of $603K and a medium price of $444K. The average days-on-market is currently 239 days.